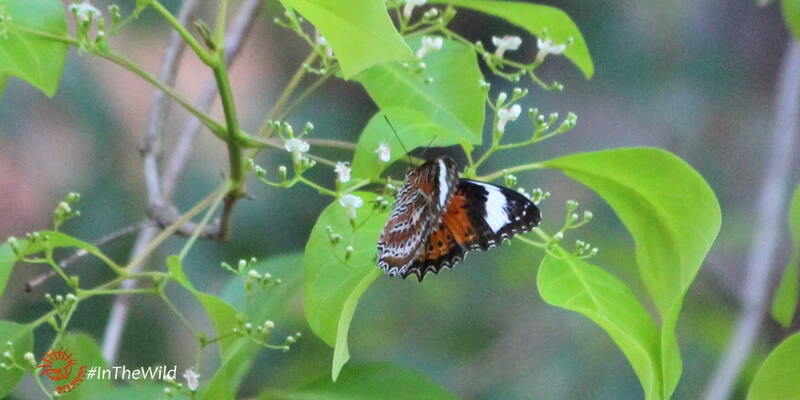 One of the highlights of visiting the tropics is seeing large numbers of butterflies. 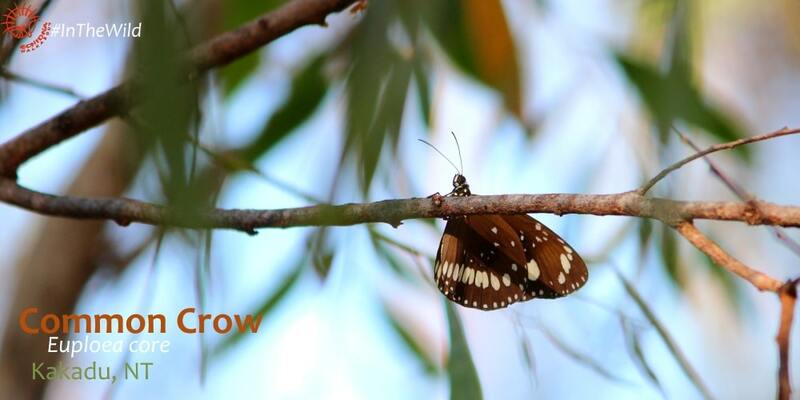 The butterflies of Kakadu and Mary River National Parks are big, laconic and colourful, and many are active when we visit in July, August & September – the dry season. Kakadu National Park has over 100 species of butterfly, and Mary River National Park, Fogg Dam, Holmes Jungle and areas around Darwin also have large numbers of species. See below for lists. We have to watch out carefully for this beauty, but its worth it. They are large (wingspan 70-80mm) with transparent panels in the upperwing and gorgeous red, black and white pattern on the hindwing. Their larval food plants are vines that grow in eucalyptus forests and savannah, mostly in the west of the Northern Territory Top End. 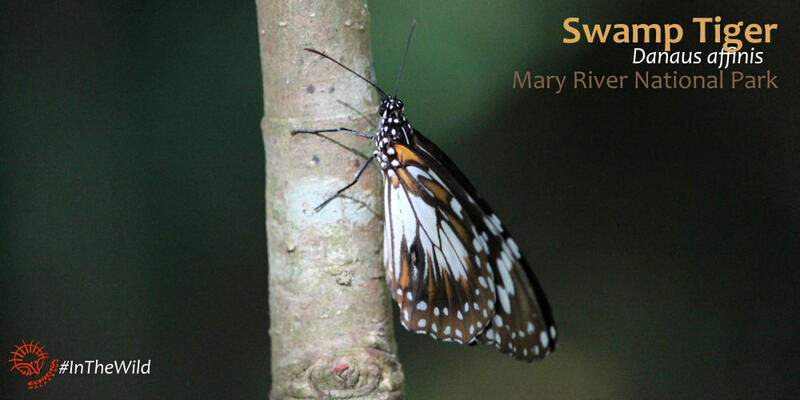 We’ve seen this butterfly in Mary River National Park. We see this lovely butterfly on most of our Wild Top End trips, at Ubirr in Kakadu, at Bird Billabong in Mary River National Park, and around Djukbinj. Their caterpillars feed on Hygrophila angustifolia – an aquatic plant that grows in billabongs, floodplains and creek banks and a few similar introduced plants. This butterfly is a beauty – large (wingspan 65-67mm), bright and showy – they have a helpful habit of resting with their wings outspread. 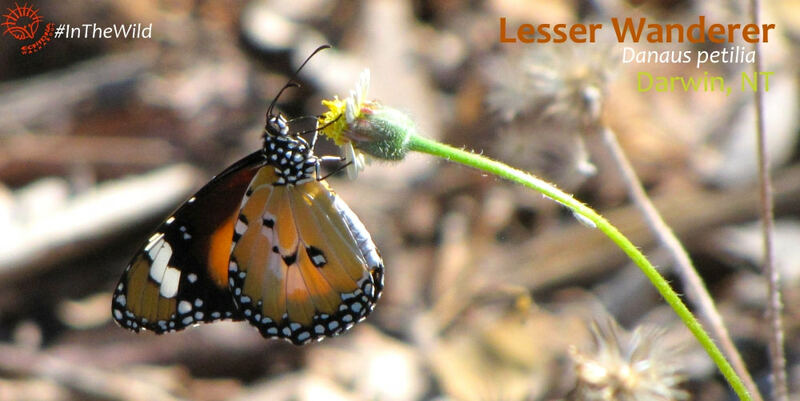 The larval food plant of the Orange Lacewing butterfly is named after it – the Lacewing Vine Adenia heterophylla. As is often the case, where you find the butterfly you find the larval food plant – the photo above shows the butterfly in a Lacewing Vine. The vine is a member of the passionfruit family, and though the flowers are small, the fruit is large, red and showy. It grows in monsoon rainforests. We see the Lesser Wanderer a lot. They are large (wingspan 60mm) and showy and fly slowly close to the ground, giving ample opportunity for photographs. 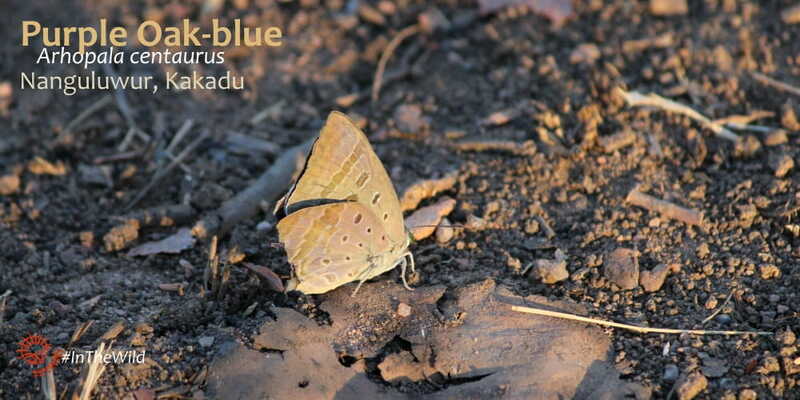 We’ve seen this butterfly in Kakadu, at Fogg Dam, and at Bird Billabong in Mary River National Park. The larval food plants are mostly vines, including the famous Bush Banana Marsdenia australis. 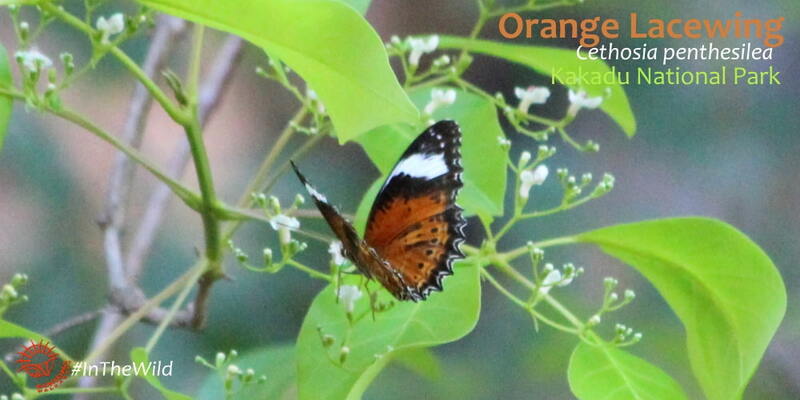 This beautifully-marked black, orange and white butterfly is large and usually seen around mangroves and creeks. We see them most years on the Wild Top End tour, most often in Jimmy Creek rainforest in Mary River National Park. 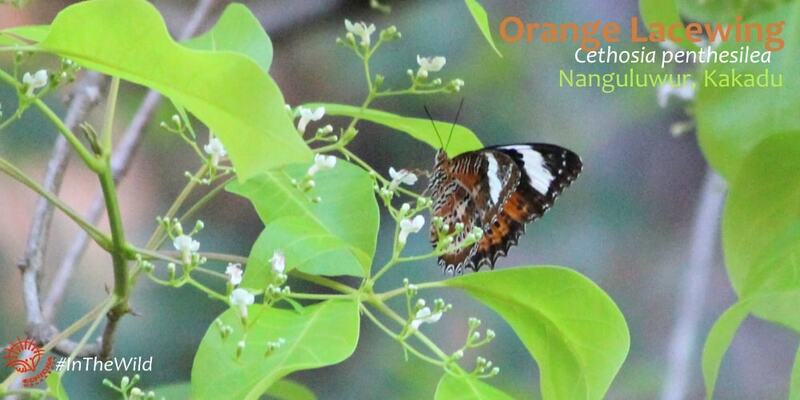 This butterfly is very specific – the caterpillars only feed on a small, unobtrusive vine called Mangrove Vine Cynanchum carnosum which grows around low plants and reeds. This is an example of why we should protect large areas of natural vegetation – a tiny plant can be critical to the survival of a lot of other species. We see these muted beauties more often than any other. They seem to like monsoon rainforest in the middle of the day in dry season, though they are widespread throughout the Top End. We most often see them – dozens at a time – in Holmes Jungle near Darwin and Jimmy Creek in Mary River National Park and under the rock art shelters at Nourlangie and Ubirr, Kakadu. They are large (wingspan 69-72mm) and fly slowly a few metres above ground, making them easy to notice. They are poisonous to predators, so they don’t need to hide or fly rapidly. Their larva eat a lot of native plants including figs, rainforest trees and climbers. There’s some excellent information and pics of this butterfly on iNaturalist. This is one of the larger blues, and a real beauty. Unfortunately I couldn’t capture the upperwing colour, which drew our attention – it is a brilliant deep electric blue. The underside is lovely too, in an understated way. The Purple Oak-blue butterfly of Kakadu has many larval food plants, including Melaleuca Paperbarks, Corymbia Eucalypts and Terminalia Kakadu Plums, but it is reliant on the Green Tree Ant. The ants protect the caterpillar, and receive sweet liquid from it. Some incredibly detailed information about this butterfly and its caterpillar here. 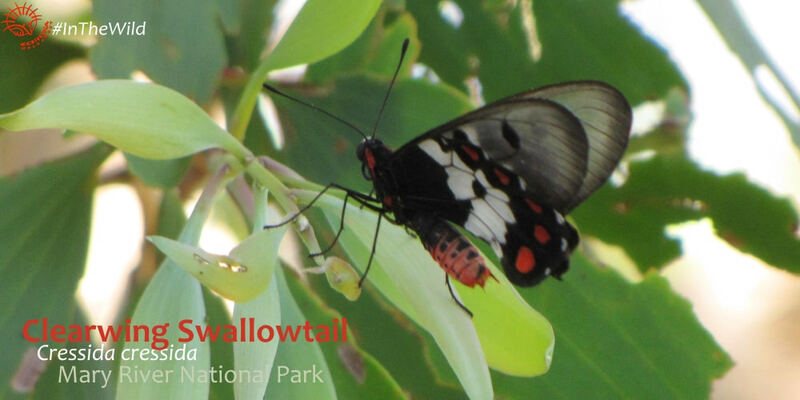 Visit the butterflies of Kakadu and Mary River National Parks with us on our 6 day Wild Top End tour. Want to identify a butterfly? 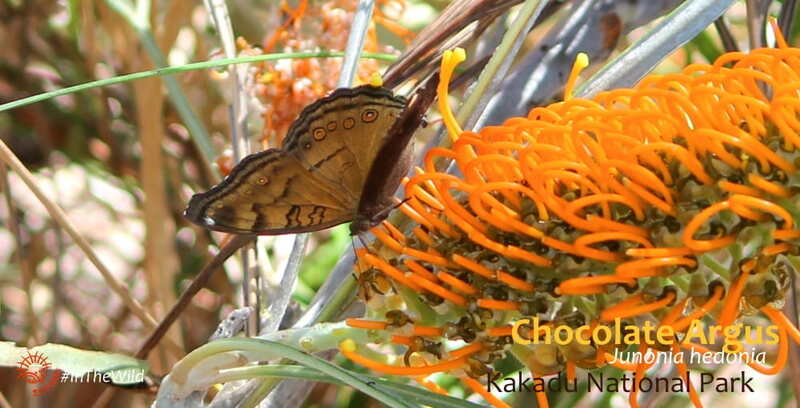 Butterfly Conservation South Australia has a terrific tool for butterflies found in their state.